You better watch out. You better not cry. You better not pout. And I'm telling you why. Santa Claus is coming... to town. Well? I think he's coming, anyway. But just to make sure, I best watch the following 92 minute movie made in 2000. It was Directed by: William Dear; and Starred: Leslie Nielsen, Steven Eckholdt, Robyn Lively, with Max Morrow. Hello viewers. It's Peter Albright (Steven Eckholdt) here reporting live for 'Channel Five News'. Now as some of you may remember I've never been a big fan of this holiday season. Yet worry not. For today I have one hell of a Yuletide story for you. You see, recently I accidentally ran into an elderly gentleman on the street. He's of average height. Sport's a white beard. Answer's to the name of Nick (Leslie Nielsen). And despite being heavy set and wearing a Santa Clause costume, for some apparent reason he seems to be suffering from amnesia. Oh! Please excuse me for a second, viewers! That'll be my girlfriend calling. Hello? Claire (Robyn Lively)? What do you want, my dear? Come on. Hurry up! I'm live on camera! WHAT? 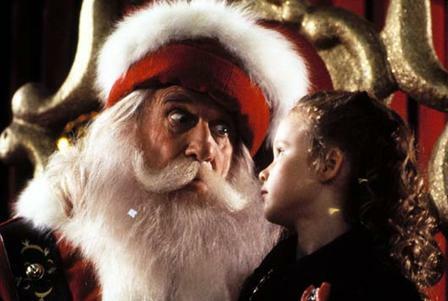 Your son Zack (Max Morrow) thinks this man might actually me the real Father Christmas! Holy Crucifixion! But then again, that's most probably why what next transpires becomes rather festive when Nick comes up to me and says, 'Yoo-Hoo-Hoooooo!'. As Max (Tommy Davidson) and his elves go on the hunt - a television reporter is a bit of a c*nt - a young boy never looses hope in his quest - and at the end of the day, a dysfunctional family is finally blessed. 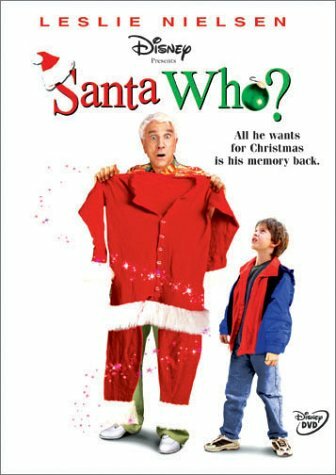 Now to be completely honest with you, dear reader, I wasn't expecting very much when I first sat down and watched 'Santa Who?'. 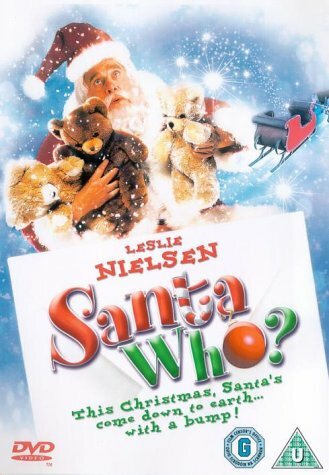 Primarily I say such a thing because this is Christmas themed movie and one of Leslie Nielsen's latter day films. And as we all know, Christmas movies and some of Leslies' latter day films are generally well known for having a fairly chequered history. But no. I needn't have worried really. After sitting down and watching it I'd say this is a fairly fine film. And as a fairly fine film goes I forgave it for its predictable narrative structure and comedic tomfoolery. Tomfoolery, I might add, which was more amusing at best and irritating at worst. Especially when it came down to some of the performances performed by certain... ahem... unnamed child actors. You see, essentially this is a tale about a dejected television reporter -- as played by Steven Eckholdt -- who finds love and the magic of Christmas due to a chance encounter he has with an amnesiac Santa. 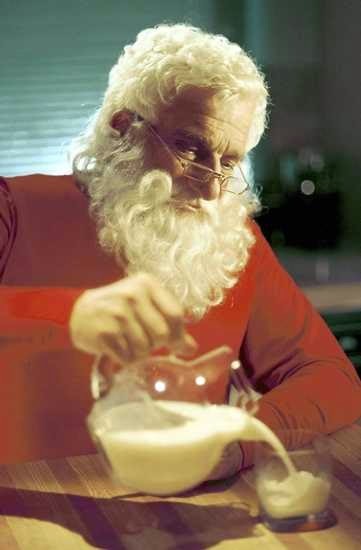 And do I mean a real Santa with real amnesia. Yet for him to be able to learn this 'seasonal message', he keeps on butting heads with his girlfriends son -- as played by Max Morrow -- whilst simultaneously learning what Christmas is all about by spending some time its title character -- as played masterfully by Leslie Nielsen. Of course to keep this tale in check you also have two other factors to consider by proxy. Firstly you have the girlfriend character -- as played by the lovely Robyn Lively -- who on occasion seems to act as a 'focal point' and 'end prise' that drives the story along. And secondly, you then have the ghetto fabulous elves -- as lead by Tommy Davidson -- whom likewise keep's the 'resolution' in check throughout various points of its telling. But do you know what I loved about this movie the most, my friends? As much as I applauded it's overall simplicity, what I loved about it even more was the fact that Leslie appeared to have played it more entrenched than he normal does. Never do you see him ham up his performance too much for the sake of joviality. Yet he still manages to have a twinkle in his eye that's as magical as the family message this adventure ultimately conveys. Anyway. I don't want to say any more than that, film fans, for the sake of spoiling the message in question. Plus I'm sure by now you got the basic gist of what I thought about this film. So I tell you what. Let's say we all now sit back, relax, and check out the following filmic-facts. (1) The 'ABC Television Network' first screened this production in America on the exact same day PetsPyjamas.com went into voluntary administration. It was on the 19th of November, 2000. (2) Loosely translated, this project was entitled 'And Where Is Santa?' in Mexico; 'Miracles At Christmas' in Spain; and 'What A Brownie?' in Sweden. (3) One of the taglines used to promote this picture, was, 'All he wants for Christmas is his memory back'. (4) The majority of this movie was shot on location throughout Los Angeles, California; and Toronto, Canada. (5) William Dear is the son of Oliver Dear. And whilst William directed this film as well as many others, Oliver is known for working in the art department. (6) Mister 'Santa Who' himself, Leslie Nielsen, first worked in front of a camera on a 1950 episode of the 'Actor's Studio' entitled, 'Hannah'. (7) Debra Frank was one of the writers assigned to pen this flick, and her claim to fame was to write such TV movies as 'The Muppets' Wizard of Oz' and 'The Man Who Saved Christmas'. (8) After this adventure pulled a cracker, Leslie Nielsen lent his voice to the cartoon, 'Pumper Pups'; Steven Eckholdt appeared in the filmic-short, 'Leaving Drew'; and Robyn Lively starred in the TV Show, 'The District'. Overall I'd say 'Santa Who?' is a pretty decent film. It's well acted in places. It's well predictable in others. And even though the comedy on offer wasn't laugh out loud funny, that's not to say the message it tries to convey isn't able to supersede this pitfall bar none.